Hall 4, Stand 4E50-F51. See you there. 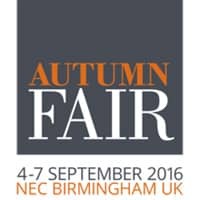 Our next stop will be our final one as we are returning to the Birmingham NEC for one of the biggest shows of the year Autumn Fair 2016. This really is the last opportunity to get a proper look and feel at our new and repeat ranges for Autumn/Winter. Beloved ranges around this time of year include our Ski hats that are ideal for worsening weather conditions with many of our new additions featuring bright colours and exquisite pom-poms. We are also once again featuring our range of Thinsulate branded hats that bring with them a reputation for durability. You will also be able to view our newest pillbox hats and headbands many of which are part of our faux fur collection. Those who cater for children will love the expansions to our children’s collection including new animal and pattern based ski hats along with our already well sought after character based novelty hats. We have brand new accessories to show you that will compliment any outfit while still being practical. Our tweed bags are becoming more popular year on year so we’ve naturally designed more to potentially add to your collections. We also have some funky new wellies and sublime new gloves that will definitely appeal to a wide range of customer tastes. Finally this is a great opportunity to mention that we are previewing our new Occasion range for the coming season. This trade show being the best way to really get a sneak preview of our weddings hats and fascinators before they are revealed fully very soon. You can view some of these products and more information about us can be found from the link here http://www.autumnfair.com/Exhibitor/SSP-Hats-Ltd. The event takes place between the 4th and 7th of September where we will be eagerly waiting in Hall 4 at stand 4E50-F51. More information on registry can be found here at http://www.autumnfair.com/ and registration if free so if you can get down to the NEC there’s really no excuse not to.